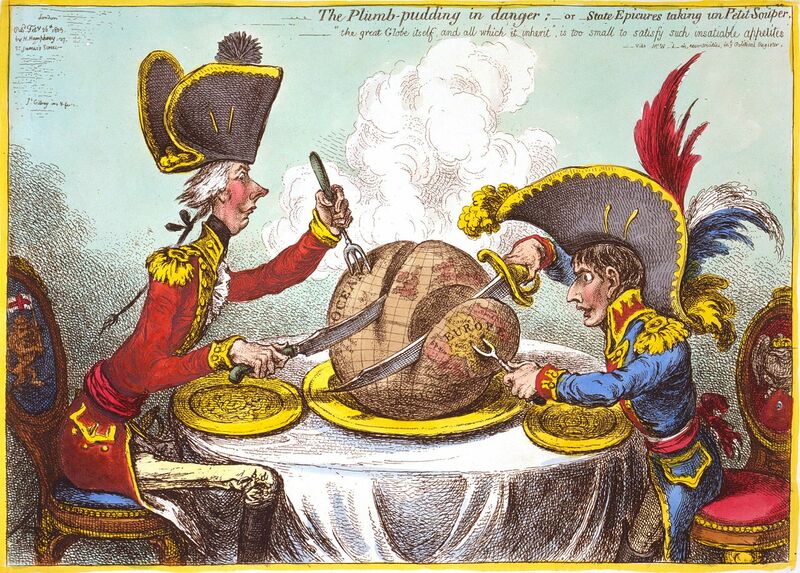 2015 is the two hundredth anniversary of the famous political cartoon by James Gillray showing Napoleon and Pitt the Younger carving up the World. 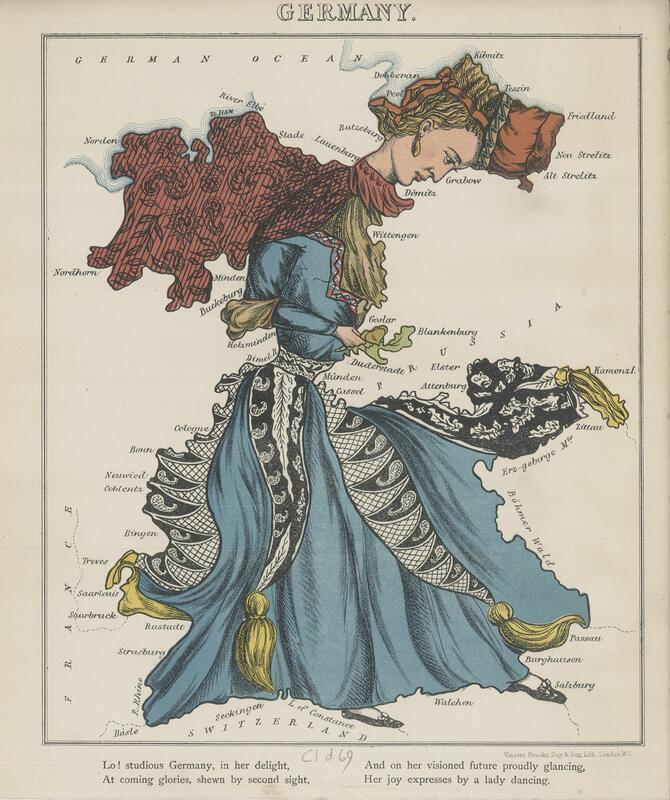 The Map Department holds a number of examples of cartoon or satrical maps. 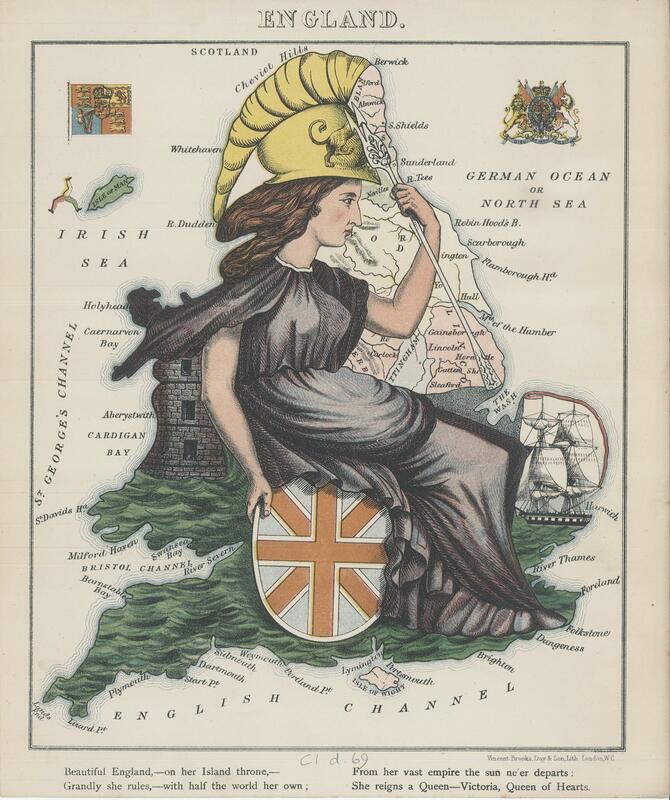 Most are designed with a similar intention to the Gillray, that of educating and entertaining at the same time, the maps are based on geographical boundaries but usually have no other topographic features, and instead fill up spaces with figures. This example, from the start of the First World War, is one of the best of this type in the map collection. Despite its initial appearances it has a serious message to convey. 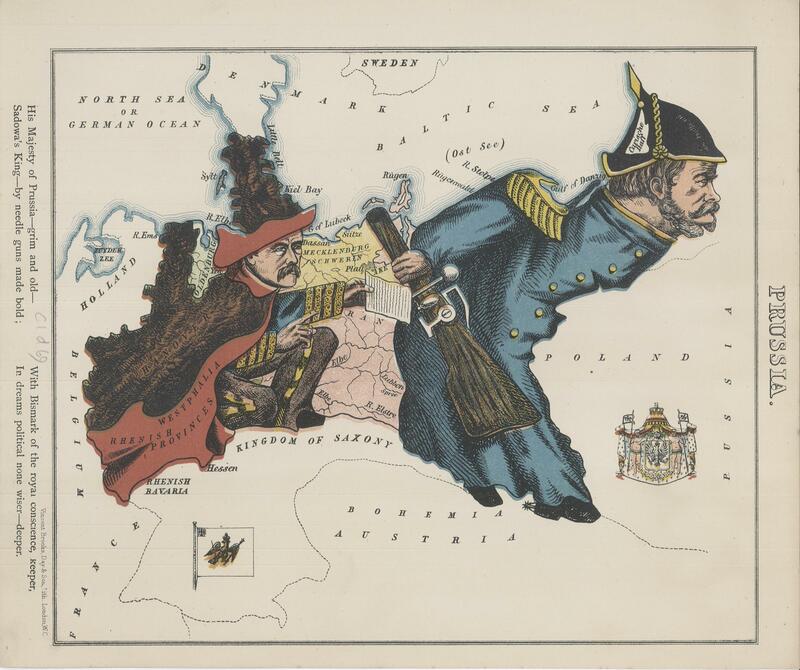 Germany looks towards France while Austria, dressed as a clown, clings on desperately while watching horrified as the brown bear of Russia grabs at ankles and talons. Britain prepares to stride across the channel to sort out the mess, ‘Business as usual’ with the Empire in support. Another example is by the famous Victorian cartoonist Frederick Rose. Angling in Troubled Waters, 1899. Drawn by Fred. W. Rose, pubished by G.W. Bacon & Co. C1 e.9. 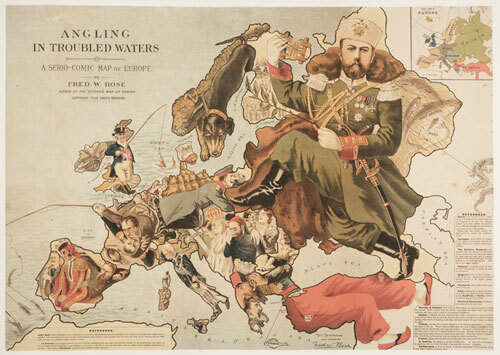 Angling in Troubled Waters shows the troubles caused by the expansionist ideas of the nations of Europe. All have either a fishing rod attached to territorial claims or are in some form of trouble; France fighting amongst itself after the Dreyfus affair, Austria in mourning after the assasination of the Empress Elizabeth in 1898. 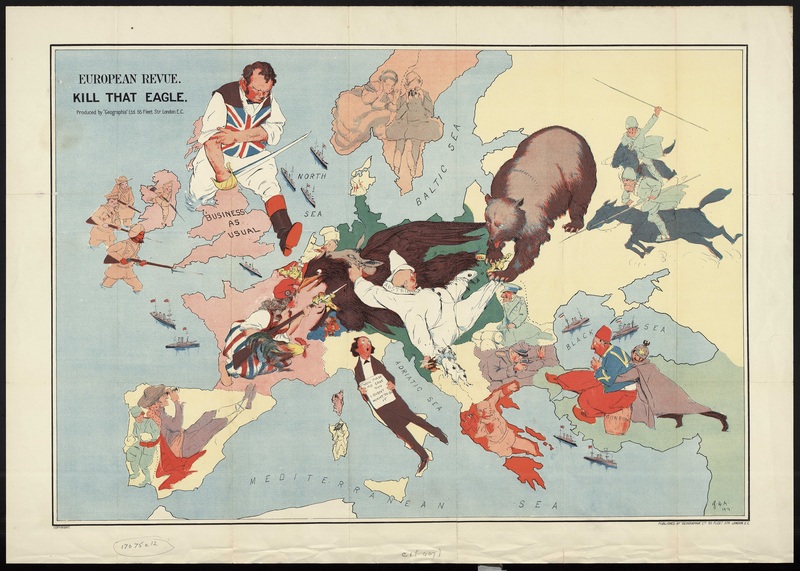 England, in the guise of John Bull, is the only nation happy with their lot, a common theme in these maps. Carrying a full net of territory Bull has just snagged Egypt on his line. 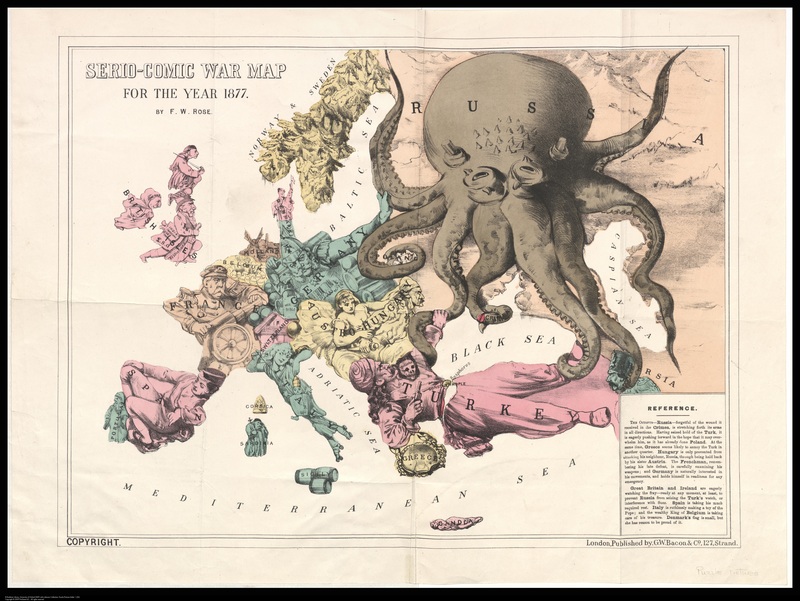 Another famous cartoon map by Rose is ‘Octopus map of Europe’* from 1877, warning of growing Russian influence in Europe. drawn by Lilian Lancaster when she was 15, to amuse her younger brother. 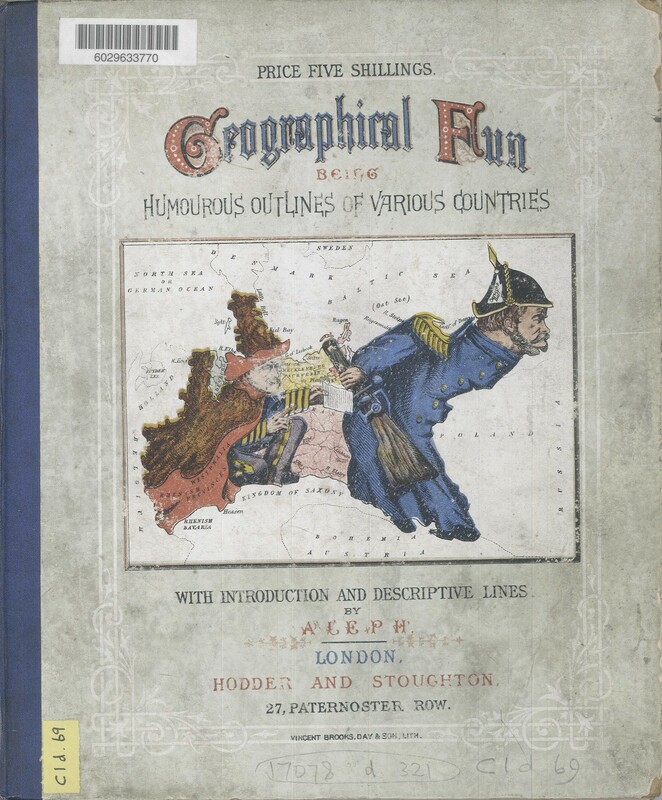 The book features sketches of Countries according to their characteristics. at this time a separate group of states called the North German Federation but soon to join with Prussia to form the German Empire after Prussian victory over France in the 1870 Franco-Prussian war. This entry was posted in Uncategorized on 4 June 2015 by stuart.